Did you know Your Move offered a range of products to make fulfilling your insurance needs quicker and easier than ever? Speak to one of our financial consultants and we could supply you with a tailored life protection solution in one simple appointment. What protection can Your Move supply? We have a range of products to suit your needs and your current situation. Life Insurance – designed to ensure your loved ones are financially covered should you die. Critical Illness Cover – designed to cover you financially if you suffer an illness like a stroke or heart attack. Income Protection – designed to provide you with a monthly benefit if you suffer loss of earnings due to illness or accidental injury. What do you mean by ‘my current situation’? Everybody is different and everybody has different protection needs. If you’re a young tenant with no dependents then you may wish to cover your income, but perhaps don’t think life insurance is a necessity. Then again, if you are committed to a mortgage term and provide for a family then life insurance should be considered. We can select from different elements to find a protection package that is shaped to you. No problem. Our new system is very flexible so if your situation changes – for instance if you start a family – then we can revisit your protection needs and adapt your insurance provision. I’m not sure I can afford insurance. It really is worth a regular amount each month to know your money, your home and your loved ones are safe – and you might be surprised at how affordable protection is. Our new flexible system means we can find an insurance package to suit a range of budgets. Our new system will give you a quote in just minutes, and we can add and remove various elements and benefits as we go to find a package that is kind to your bank account. What are the benefits that can be added? For instance, you could opt for your Critical Illness Cover to be paid out as a regular monthly income to you and your family, rather than a lump sum. Your Financial Consultant can explain all the options at the appointment. We will get a quote for you, and then you can apply for protection in the same appointment. The system provides instant underwriting so you could be protected at the end of the first meeting. Your Financial Consultant will ask you some straight-forward questions about your health and lifestyle, and the system is intuitive so it only asks the questions the underwriters need answered. Plus, you only have to make one application – not separate applications for each element. 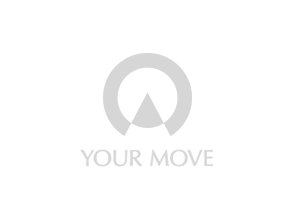 Right here on the Your Move site. Click here to book an appointment with a Your Move Financial Consultant at a time to suit you.